Last year I started well, jobs got done in January and I’d everything planned out for months ahead. 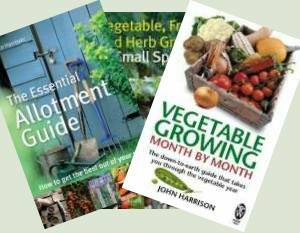 What to sow and when – even what I’d be harvesting and when. Until the weather put paid to the plans and they ended up, as so many plans do, in the round file. This year I seem to be having trouble getting going. I’ve only just sorted out my seeds and ordered new ones to fill the gaps. I’ve still got to write up my sowing plan, like all planning, a job best done before it’s needed! One job that is bugging me is constructing the new greenhouse. I’d thought to have it done by now but I do need a day or two of fair weather. Not a job to enjoy in freezing winds and blowing snow which we’re enjoying at the moment. It doesn’t help having one of those low level colds that rumble on endlessly, either. 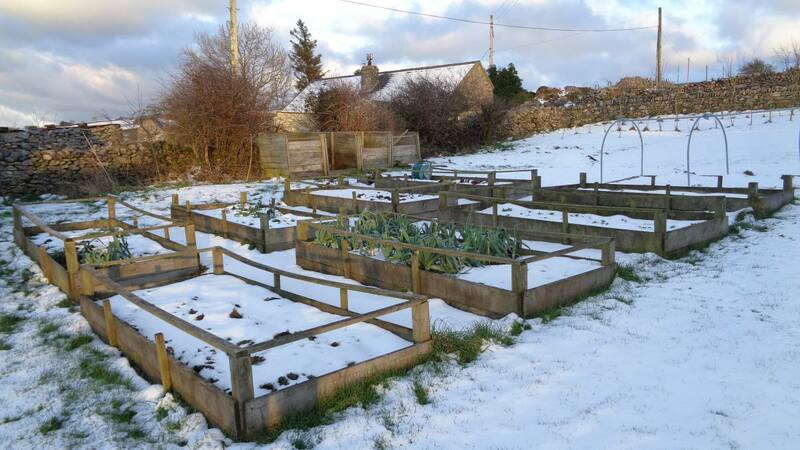 The leeks are standing well in the snow. A much underrated crop, leeks. They can replace onions in many dishes, which is good, but what I like about them is their growing qualities. They produce a mass of thin roots below their central stem. These roots go into the soil creating small channels and when the leeks are pulled most of them stay behind. They decompose in the soil adding their organic matter and feeding the soil’s eco-system. This helps to glue sandy soils and break up clay soils. There other quality I like is how long they stand for. It’s quite possible to enjoy a crop from September all the way through to March. Not bad at all. Parsley is another underrated plant. 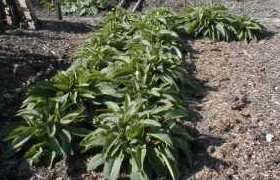 OK, it doesn’t compare with leeks as a crop but it’s a herb that can contribute to many dishes. It does have the drawback of being tricky to germinate when directly sown but it’s very easy to start in modules under heat. 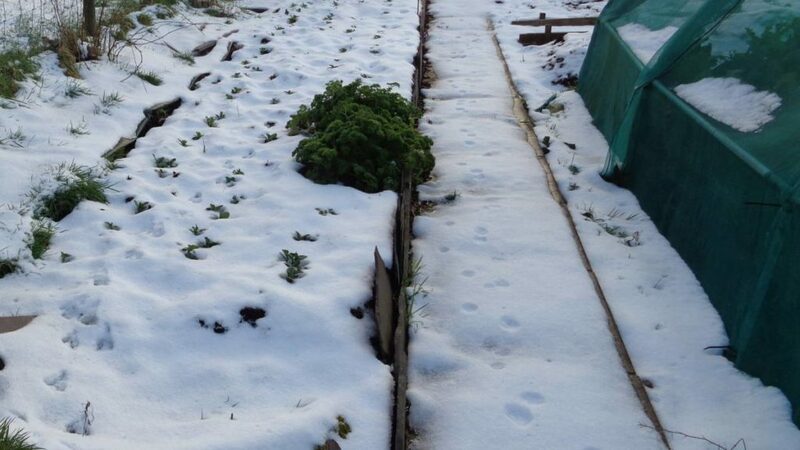 Once planted out they last well and parsley is very hardy, as the photo above of my parsley in the snow proves. Fresh parsley doesn’t last long and those pots from the supermarket for kitchen use never do well – for me at least. But planted outside it grows really well. 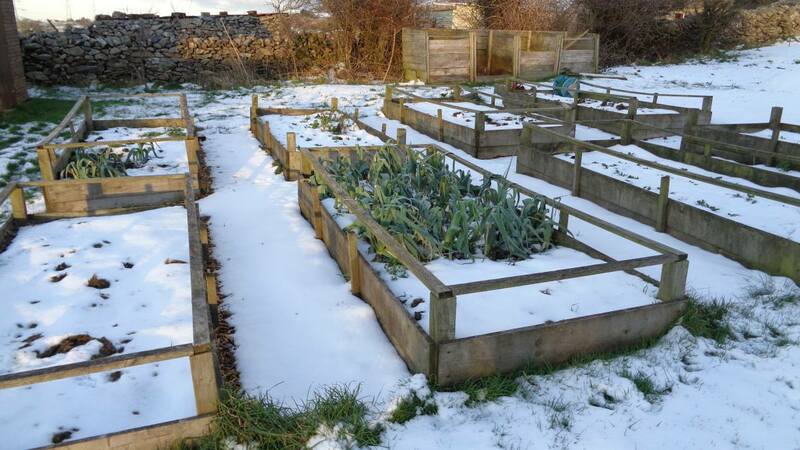 It can be dried but if you’ve just a little patch on the plot you can enjoy it fresh near year round. Back in November, I sowed field beans as a green manure to hold the nitrogen in the bulk compost I’d bought in to improve the walled vegetable garden. They’ve not grown a lot but that’s alright. I’m not looking for a crop from these beans. Just compost material. It’s quite awe inspiring to look at the snow lying over the fields and realise that life is patiently sitting there in suspended animation awaiting the right time to burst back into growth. Sometimes we get too involved in the practicalities of growing and lose the mystery at the heart of it. Those field beans are not only good for the soil, but good for your tummy too! I grow them as an edible crop every year and they are superb. 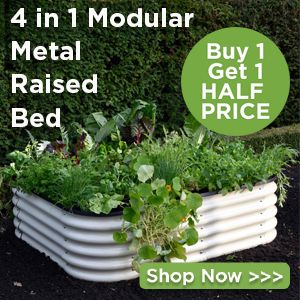 Maybe just leave a row on the edge of that bed to flower… added extras! You know I’ve never tried taking them to crop – thanks Kathy. Field beans – are they the ones farmers grow? Because my farmer friends grow quite a few of those so I might be cheeky and ask them for a few to try if they’re the ones? Are they? All my cauliflower plants and spring cabbage and onion plants are all still in the greenhouse in pots waiting for spring. 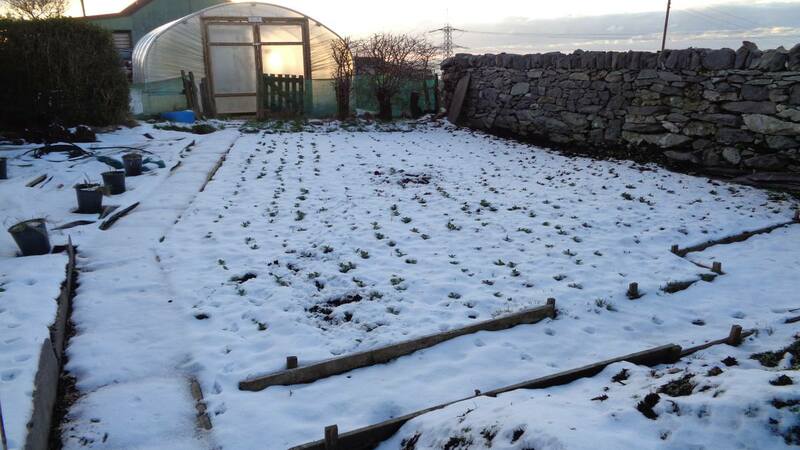 And you can keep your snow John it looks very nice on your pictures we don’t want your snow in the Midlands, thank you! Hi Rowland – yes they are grown usually for animal feed. They look very similar to broad beans. Normally we escape too much snow being near the sea but, on the other hand, we’re 600 feet up the hill which works against us.